It’s less than a week until Christmas, and we are in the homiest of home stretches for this 2017 Hallmark Christmas season. It’s been a fun ride, friends. Okay, no, not entirely; I’ve had to surface for air with some decidedly non-Hallmark, non-holiday fare (thanks, Rogue One). But, a couple movies, new and old, found their way to the top of the list, while others didn’t quite get that far but still settled above the halfway mark. Christmas Connection is one of those. Thoroughly pleasant in every regard, it nevertheless, fails to make a lasting impact. The story gets a few nods for originality. Don’t think we’ve seen one about a flight attendant who couch surfs at a stranger’s place after she accompanies a minor flying solo. With its Chicago setting, there’s also a stronger sense of place, though it’s by no means a local film. Tom Everett Scott, of That Thing You Do! fame, for me anyway, is also a different kind of male lead. Gawky, nerdy, and very dad, but I think the anti-stud deserves his due. Scott and Brooke Burns pair up as unexpected partners. She plays Sydney, a flight attendant who takes full advantage of the perks of her job and jets off to wherever is not home during Christmastime. This year she plans to vacation in Bali. All she has to do is shepherd Leah (Sophie Neudorf) back to her dad, Jonathan (Scott). The three hit it off over hot chocolate, because Sydney is very dedicated to customer satisfaction, and then part ways. But when she realizes Leah’s left something important behind, she delivers it to her house, missing a flight in the process. Again, very dedicated. Since she can’t get another connection, she takes up Jonathan on his offer to pass the time with his family. It’s one of those situations where you’re not sure what the hell you’re getting into. Jonathan’s outgoing clan really loves Christmas, a lot, so much so that they have a daily theme. Someone hosts cookie decorating one day while another takes care of all the popcorn garland the next. Jonathan and Leah love it, even though it reminds them of their deceased wife/mom. Painful memories are also the reason why Sydney is a bit skeptical of all the holiday cheer. She lost her parents at a young age and prefers to remain unmoored from family life and obligations. When she tells Jonathan, a newspaper columnist, about her parents’ romantic meet-up in Chicago, he decides dig a little deeper and write a personal column about this Christmas romance. I don’t know whether to give Sydney credit here or tell her to push back against this guy, but she acquiesces rather easily. Jonathan is awfully presumptuous in all this, telling her after the fact that he plans on blasting her parents’ love story all over Chicago. But, hey, who cares about privacy when it comes to two evenly matched lovebirds? Sydney doesn’t seem to mind this intrusion, so I guess we’ll have to forgive the matter. Anyway, she is super nice. I wouldn’t mind being Leah, a preteen who makes macaroni picture frames, just to know what it’s like to receive such unconditional love from a stranger. This is the appeal of Christmas Connection for me. Burns’s character is simply lovely and gracious, and so is the actress in this role. 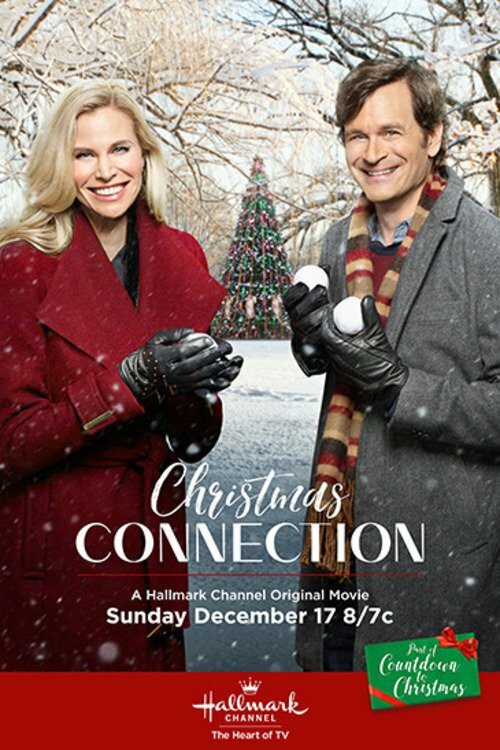 Posted in USA, Western TV reviews and tagged Christmas movies, Hallmark Channel, TV movie on December 20, 2017 by limmer13.